The legal issue is whether this property should be rated in regard to its actual physical condition in January 2012 or whether, paragraph 21b of Schedule 6 to the Local Government Finance Act 1988, requires the valuation officer to assume the property was in reasonable repair in its previous state as offices on that date. Based on the long-established principle of rating law, that properties should be valued as it in fact existed on the relevant date for valuation. That principle is referred to as the “Reality” principle. The changes to rating legislation in Schedule 6 of the Local Government Finance Act 1988, which provides that assumptions are to be made concerning the physical state of the property, do not wholly displace the “Reality” principle. 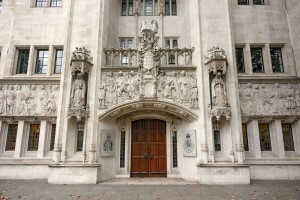 In particular, the assumption that the property was in a reasonable state of repair at the outset of the hypothetical tenancy, is not addressing the question of whether the premises were capable of beneficial occupation. If a building is undergoing redevelopment, that is a question which has to be asked first. The valuation officer must make an objective assessment of whether the property is going through reconstruction, and is therefore incapable of beneficial occupation rather than simply being in a state of disrepair. There is no statutory bar that would prevent the application to alter the rating list to reflect the actual state of the property undergoing redevelopment. On the facts found by the Upper Tribunal, the property was undergoing reconstruction in January 2012 and the Upper Tribunal was therefore entitled to alter the rating list to reflect that “Reality”.